Wicklow caused one of the upsets of the weekend on Sunday when defeating Offaly after extra-time in Portlaoise. A day of ecstasy for Wicklow, it was one of dejection for Offaly. Though Offaly didn't enjoy a spectacular Division Three campaign - they avoided relegation - it was better than Wicklow, who didn't manage a single win in Division Four. "It's probably the darkest day in championship terms that we can remember in Offaly in a long time," former inter-county hurling referee Brian Gavin, also a commentator with Midlands 103, told the station's Seamus Duke. According to Gavin, there is serious unrest in the Offaly dressing room. He stated that manager Stephen Wallace has lost the faith of the players. "10 to 12 players are missing from last year's panel and one wonders why they weren't going back into that set-up for Offaly," said Gavin. 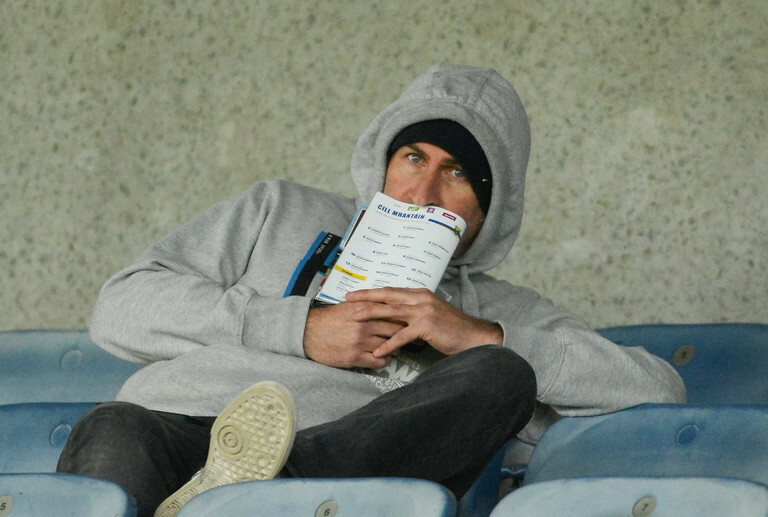 Wallace, a Kerry native like Wicklow boss John Evans, was pictured in the stands for the game. The Ardfert man is serving a ban for an incident during a Kerry club match. "Unfortunately, the other things that happened on the day and in the build-up has led to a dismay among supporters and players," declared Gavin. At the moment, with what's going on in the dressing room, Stephen Wallace and his management team have definitely lost the dressing room. There's a lot of unrest in the Offaly camp at the moment. A few examples: like we know Johnny Moloney earlier in the year he opted out after a disagreement with management - we can't afford to lose players like him. Young James Lalor was only told 40 minutes before the game that he wasn't starting. Nigel Dunne has been our top scorer in the National Football League, he was starting to get into the game yesterday and after 25 minutes was taken off. He looked distraught, he was angry; one couldn't blame him. Gavin added that there was a major row in the dressing room at half-time and that Dunne, who had been substituted in the first half but would return to the action in the second half, had to be persuaded not to leave the ground at the break. "I think the mood in the dressing room at half-time... there was a lot of arguing, there was a lot of shouting, a lot of fighting," said Gavin. "Then Sean Pender was taken off and he told the management exactly what he thought about being taken off as well. The mood is desperate in the Offaly camp at the moment." Nigel Dunne has since taken to Twitter to clarify the situation, saying he left the dressing room to have a sulk. Gavin also referenced a tweet from former Offaly footballer Alan McNamee. "Former players, like Alan McNamee put up a tweet and maybe seven or eight of the current players liked that tweet; what he says about management and the treatment of Johnny Moloney. "One can only imagine the management positions are untenable at the moment and it's an unfortunate situation. If the county board don't act, the players will act. I just can't see Stephen Wallace and his management team lasting much longer."